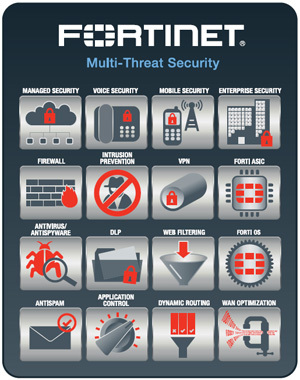 Sorry, this product is no longer available, and replaced by the new FortiGate-80E, click here. If you currently own a FortiGate 80C, services and support can be purchased below. The FortiGate-80C/80CM Series platforms offer dual WAN Gigabit Ethernet (10/100/1000) links, for load balancing or redundant ISP connections delivering high availability and scalability to small or home office application. Six Fast Ethernet (10/100) internal security zone or switch ports and one dedicated DMZ port eliminate need for additional networking devices, reducing investment and management burden. An ExpressCard slot allows for optional 3G wireless WAN connectivity such as EVDO, W-CDMA, HSPA and GPRS, which provides mobile network connectivity for remote deployments or backup data connectivity in the event of a network failure. 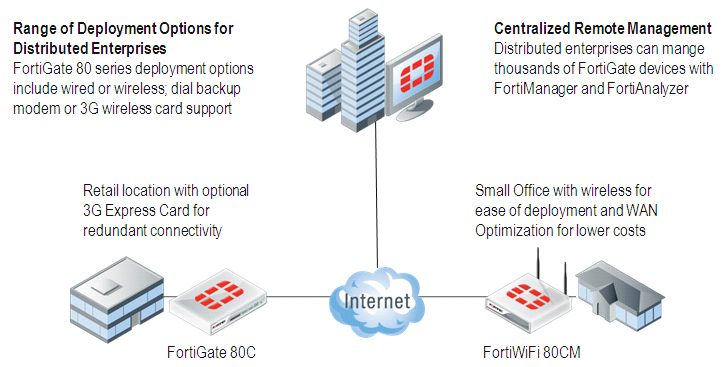 The FortiGate/FortiWiFi-80CM platforms gives you the additional convenience and reliability of an analog modem.